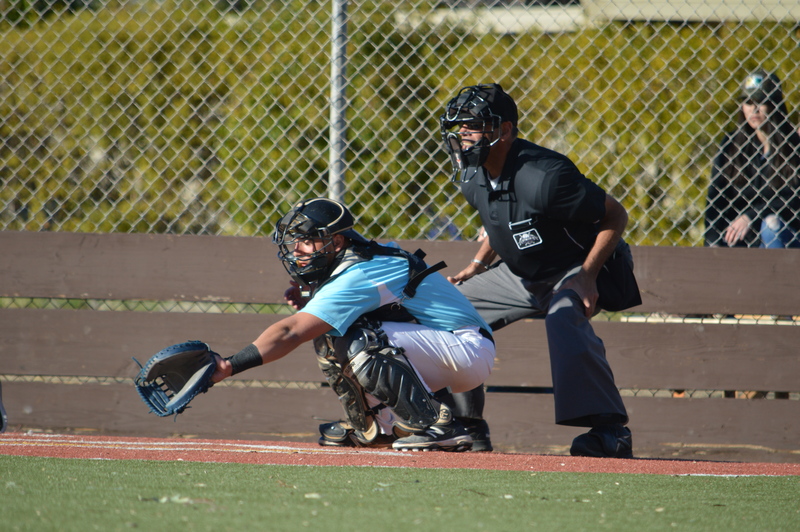 Of the close to 300 players showcasing their talents at the California Winter League, the vast majority have already garnered at least a decade of baseball experience prior to setting foot in Palm Springs. Jordan Thliveris is not one of them. The 24-year old had not played a single game on the diamond before graduating high school. A native of Sydney, Australia, Thliveris switched to baseball less than five years ago. “We played grade cricket back home in Sydney, and I was playing second grade, which is pretty high-level, so we played a lot of state teams and representative teams. Both cricket and baseball are bat-and-ball games played between two teams, but the similarities from the pitch to the diamond hardly extend much further. “Hand-eye coordination is pretty similar, but in terms of swings, it’s very different,” Thliveris says. A natural right-hander, Thliveris serves as a switch-hitter while playing for the Toronto Rush in the CWL. He says that developing his left-handed swing was actually simpler. Growing up as a right-handed cricket player, Thliveris had to rework his mechanics for baseball. “Learning from the left side was a lot easier because I learned from the ground-up, whereas from the right side it’s kind of a bit rigid because of that cricket style,” he says. The game of cricket entails a much different approach. With an opportunity to focus on developing his swing from both sides at the CWL, Thliveris has become even more valuable in the eyes of his coaches. “Anytime you can hit from both sides of the plate it adds another dynamic to your game,” Toronto manager Matt Rusch says. “I encouraged it for sure after he came to me, and he can swing it from both sides. He looks very comfortable. Thliveris took to baseball quickly, and has relished all opportunity to continue to progress. His journey to baseball has taken him around the globe – including a stop in Europe as a member of the Greek National team in 2014. Born Yiorgos Thliveris, his Greek decent and athletic prowess led him to an invitation to join the Greek National team at the European championships. While initially not guaranteed a spot, Thliveris tried out and won the job as a starting second baseman for Greece in the European Cup, competing with teams from the Netherlands, Czech Republic, Great Britain, Croatia, Sweden, Russia, and Spain. That opposing talent also included names such as Sharlon Schoop, the brother of Baltimore Orioles’ infielder Jonathan Schoop, while longtime minor league hurler Pete Sikaras joined Thliveris on the Greek roster. Two years and more than 6,000 miles later, Thliveris arrived in Palm Springs to play for the Toronto Rush in the 2016 California Winter League. Primarily an infielder at Anne Arundel Community College and with the Greek National team, Thliveris began another transition to a new position over the past couple of months. Rusch is impressed with his early development as a receiver. Donning the tools of ignorance is perhaps the most mentally and physically taxing position on the field. 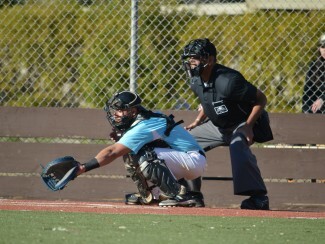 As a catcher, Thliveris is involved in every pitch, every play. While developing his skills behind the plate, Thliveris has also continued to serve admirably as a middle infielder in the CWL. Like all CWL players, Thliveris aspires to a professional contract, completing a conversion not unlike that of Jarryd Hayne – a fellow Sydney native who successfully made the switch from highly-competitive rugby to the National Football League. Having just four years of experience, Thliveris’ potential is still far higher than the output he has already shown. Although he has certainly found success thus far in the CWL – a .333 average and no errors committed in his first seven games – Thliveris knows he is far from a finished product. “I want to keep improving. I feel like I’ve got a long ways to go until I kind of reach my peak in baseball, so I’ll be patient for another couple years,” Thliveris says.